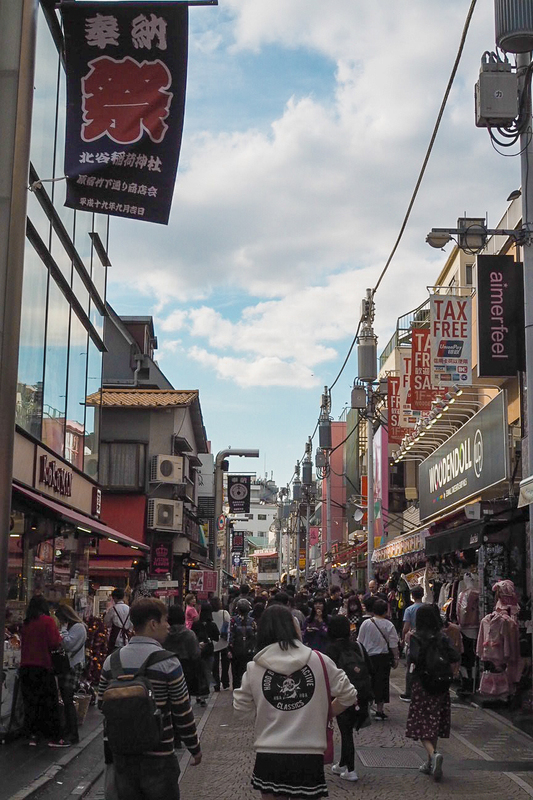 Just like Gangnam in Seoul, Harajuku in Tokyo reached mass western awareness thanks to a very annoying pop tune. Gwen Stefani writhing around with four Japanese mates singing a bastardised version of a tune from Fiddler on the Roof is pretty much all I knew about Harajuku, but my pre-trip research threw promises of the most innovative and awesome fashion to be found in the whole country, so it quickly hit the top of our must-visit list. 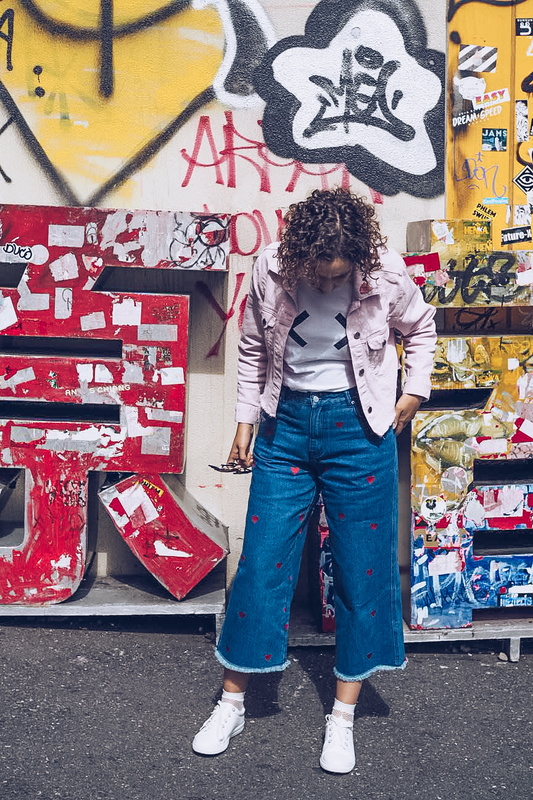 The area is a melting pot of traditional, wacky and damn right bizarre, but not just for what people are wearing. 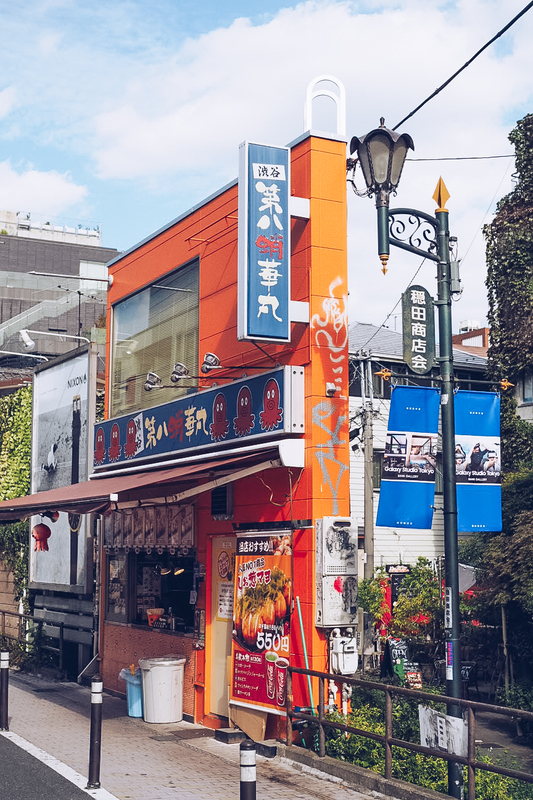 Every single touchpoint of my day in Harajuku was pretty much something I’ve never experienced before, and sure it’s a little cliche but there are some things you just HAVE to see there. 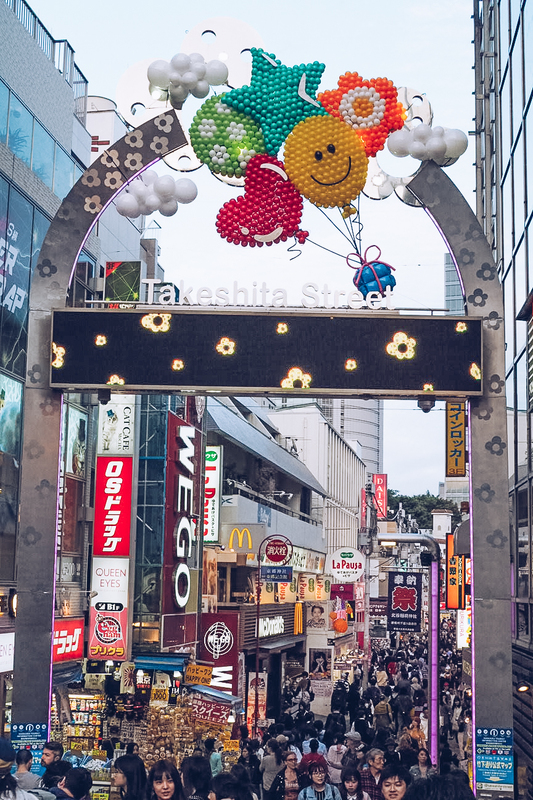 RIP my credit card, because honestly, I lost my mind in a few short hours in amongst so, so, so many amazing stores and stalls in Harajuku. There’s the cutesy, kawaii offerings of animated characters that I’ve never heard of and a whole heap of fluffy, adorable accessories that I absolutely do not need but felt compelled to buy anyway. 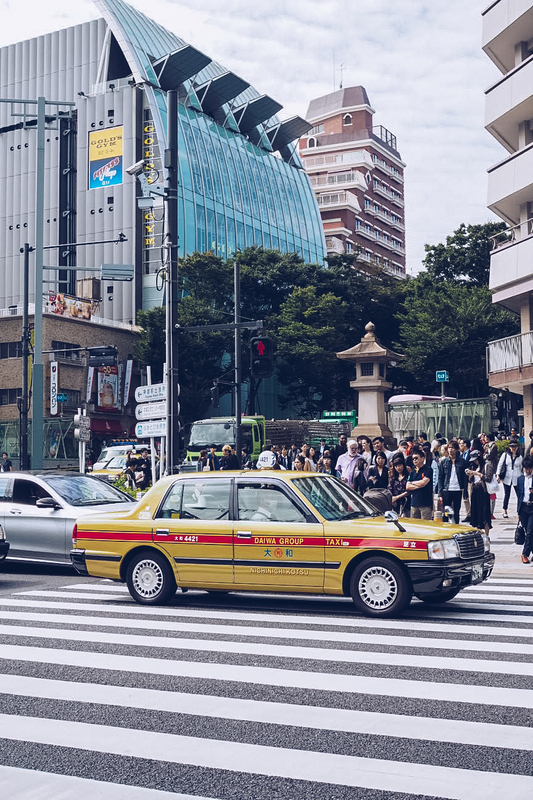 It then moves up a level to power-nerd uniforms: comic book prints and collectibles that wormed their way into my suitcase without me putting up much of a fight, especially along the famous Takeshita Street. 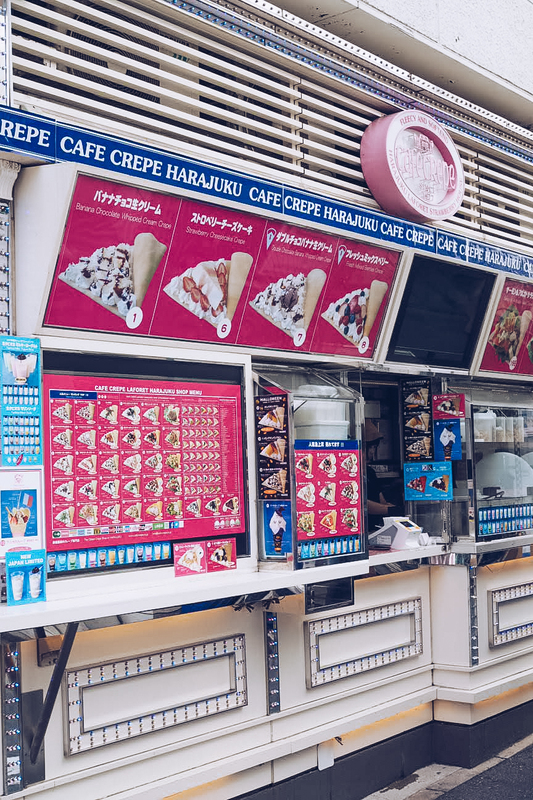 Crepes can be found literally everywhere in Harajuku, but these aren’t the delicate French creations you know and love. 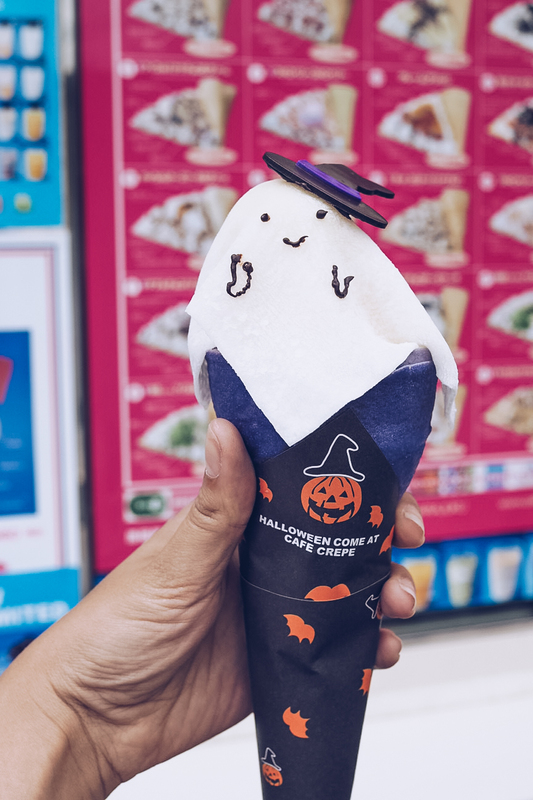 Cafe Crepe had options upon choices upon possibilities, listed out in full along the exterior of its hole-in-the-wall store, and I didn’t know where I’d even be able to begin, until I saw the Halloween special. 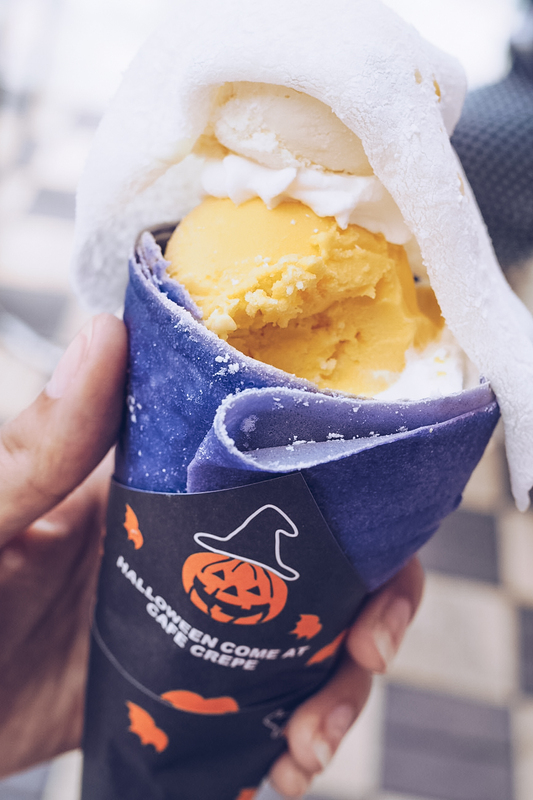 It had an actual full slice of pumpkin cheesecake in it and the purple crepe also held in whipped cream and scoops of pumpkin and vanilla ice creams with a sugar paste ghost on the top. It was adorable and delicious and exactly the sort of stupid thing I was hoping I’d eat in Japan. 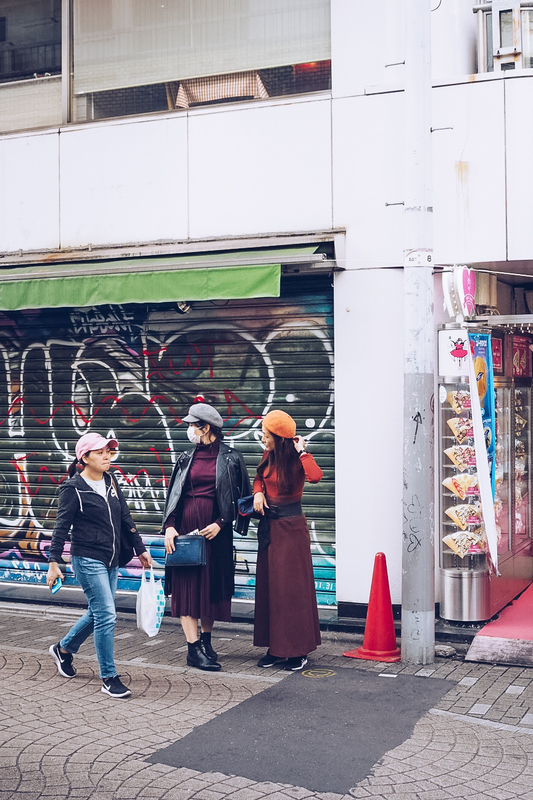 With such forward-facing trends everywhere in Harajuku, I was expecting to see wild, neon-lit buildings everywhere but that’s just not this neighbourhood at all. 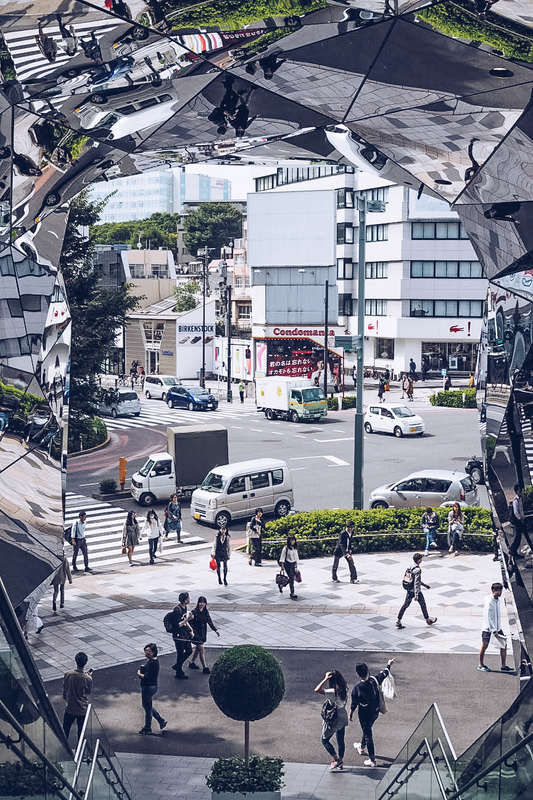 There’s the mind-bending mirror entrance of Tokyu Plaza just down the road from quiet side streets with old bicycles leaning on ivy covered walls. 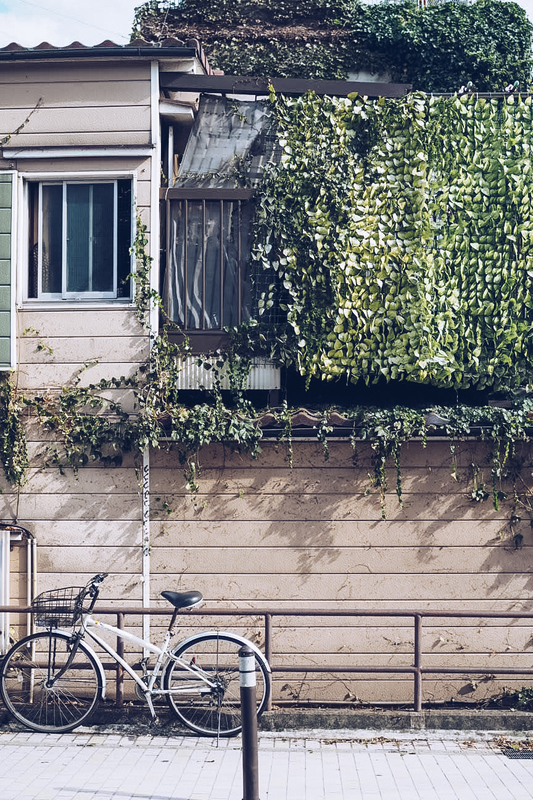 As with any city, it’s always worth looking up too; you’ll find alien-like figures on top of buildings and lampposts that are pretty much works of art. 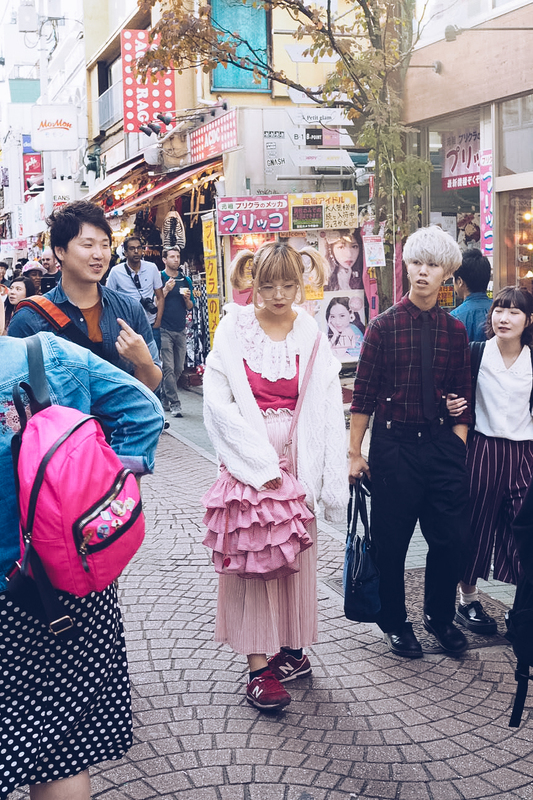 I felt so inspired by the way Harajuku dwellers dress. 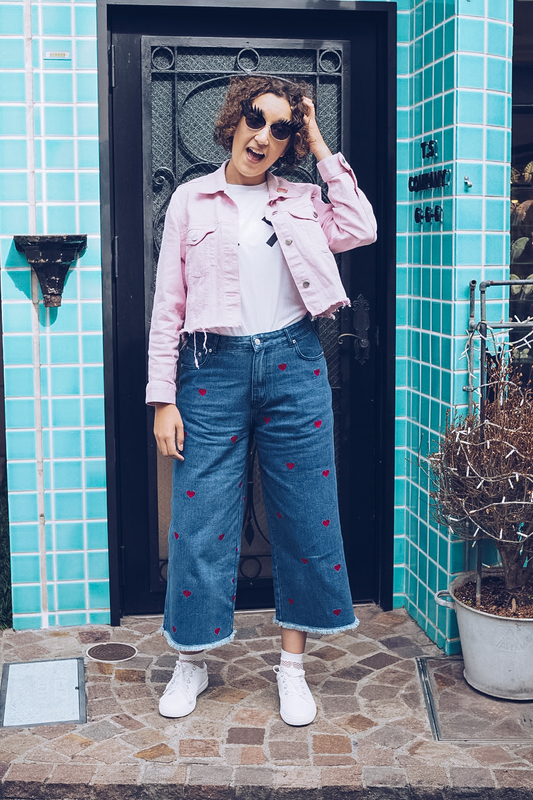 They take things to the absolute limit, embrace colour and shape, and pair things up in a way I’ve just never considered before. I couldn’t get my camera out quick enough to capture most of the looks I fell in love with, instead just making mental notes to try and buy imitation items as soon as I could. 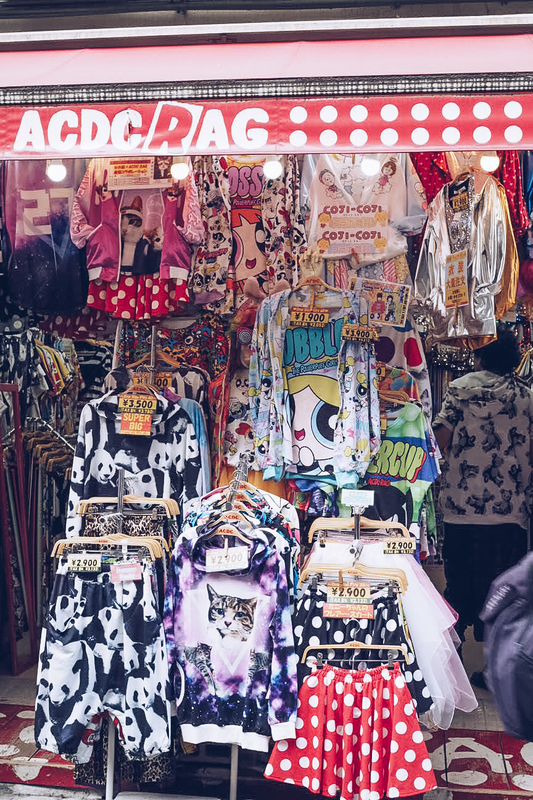 Of course, it’s super fun to spot some of the more outrageous looks that I’d never wear in a million years because every single one of them OWNED it. 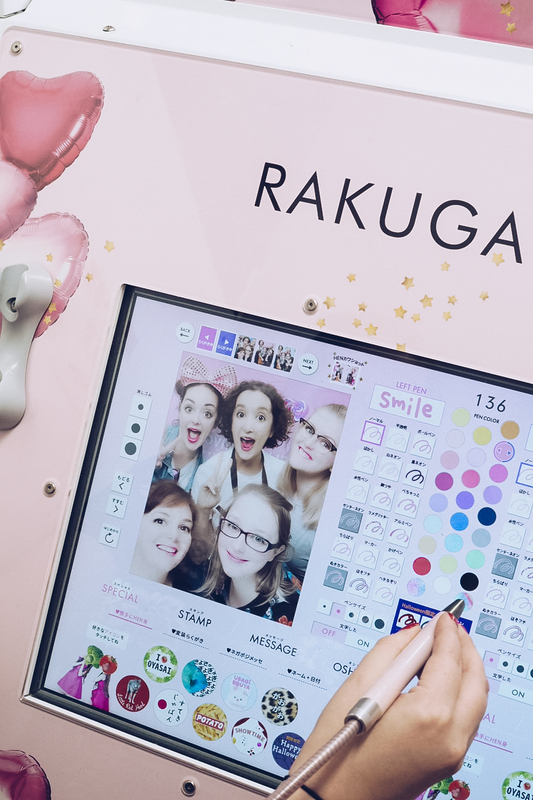 We all know Japan is full of weird and wonderful technology as well as leading the way in the cosmetics industry; mix the two together and you have purikura – the photo booths that make any normal person look….much more interesting. 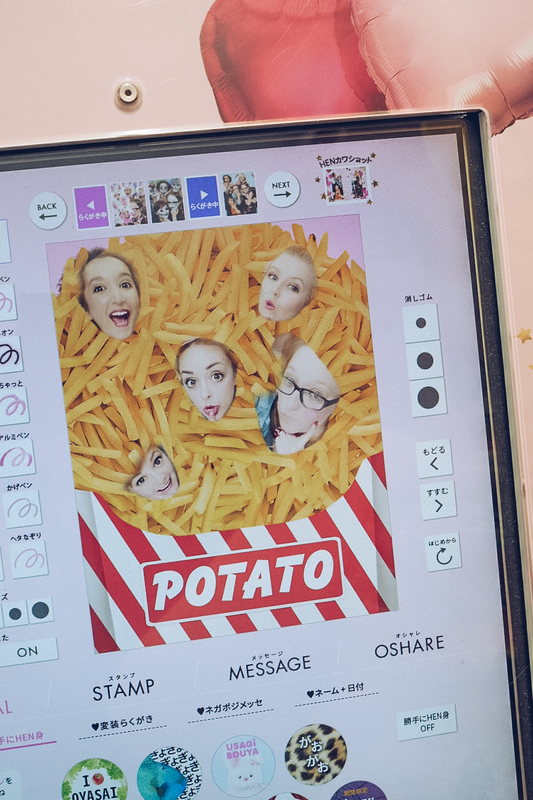 There is row upon row of different booths, all promising to make you look Facetuned and filtered to your hearts content, prompting you to pull very, very stereotypical poses in each shot. 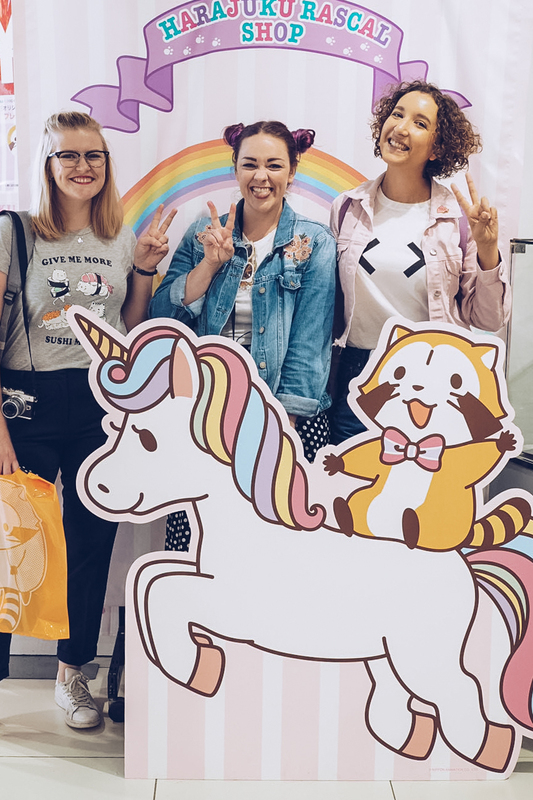 You can then draw over them and add extra stickers and graphics to make them particularly memorable, print them out and keep them for endless lols forever and ever. 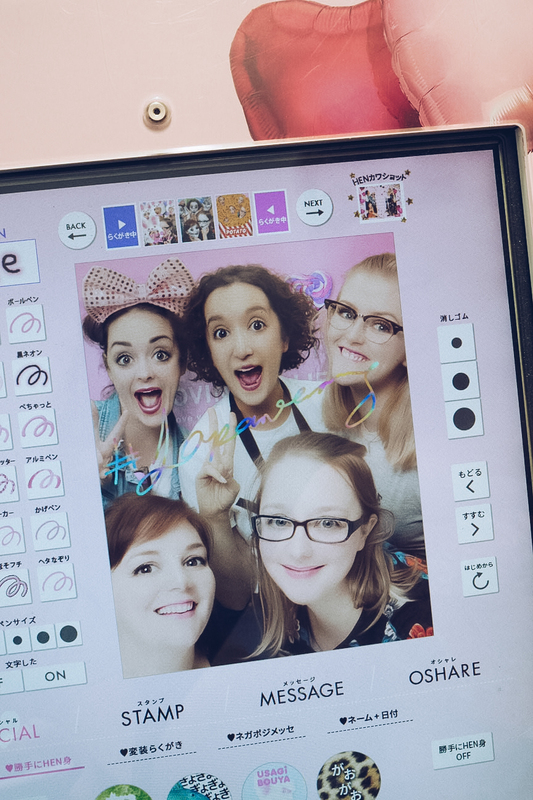 Harajuku was everything I wanted it to be. 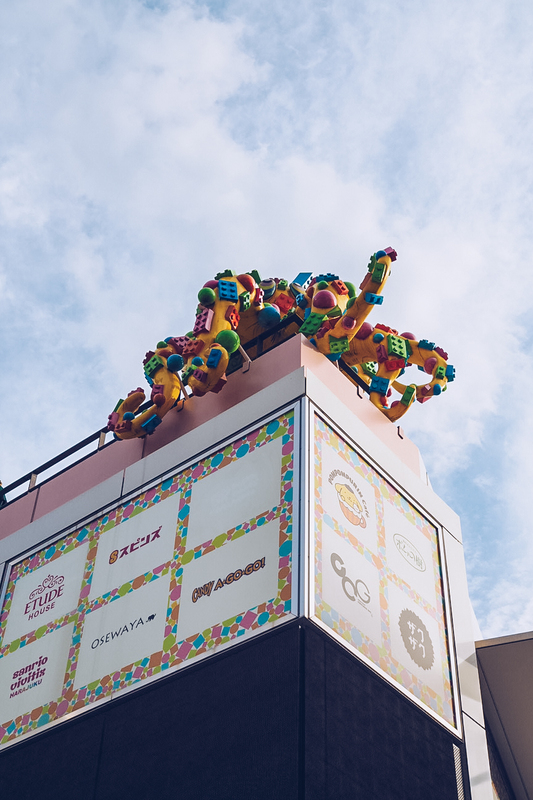 Colourful, tacky, fun without being obnoxious or contrived. 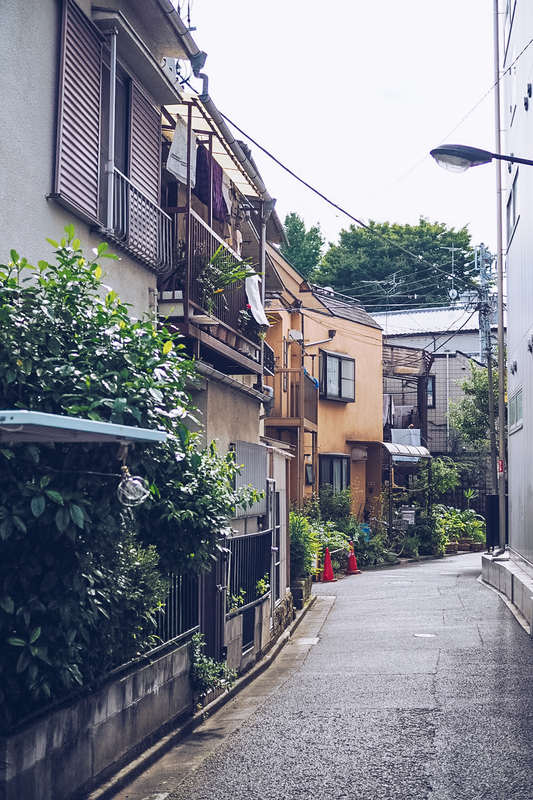 It felt genuine in its adorable strangeness which made it such a joy to walk around. 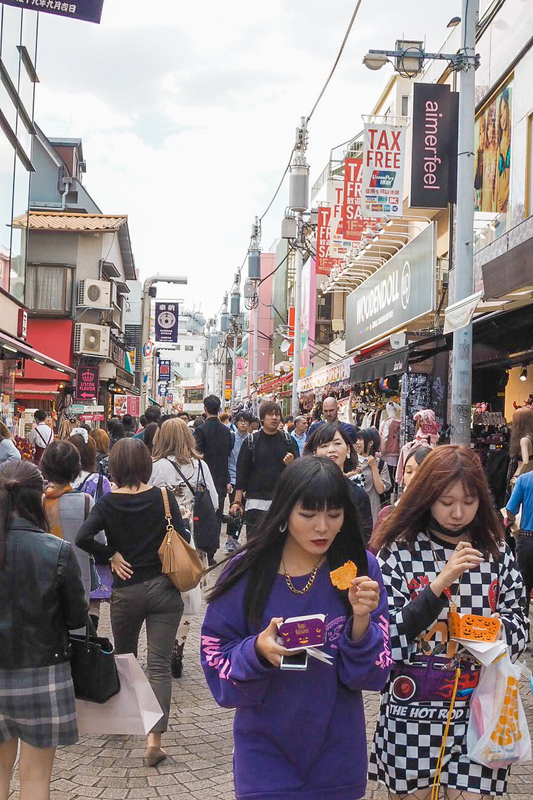 Of course we weren’t the only tourists there, but Harajuku has real life to it which is exactly why it draws in the crowds.